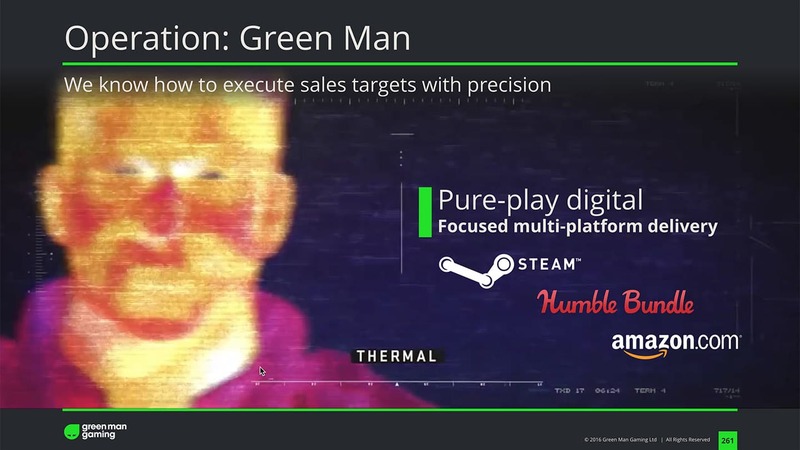 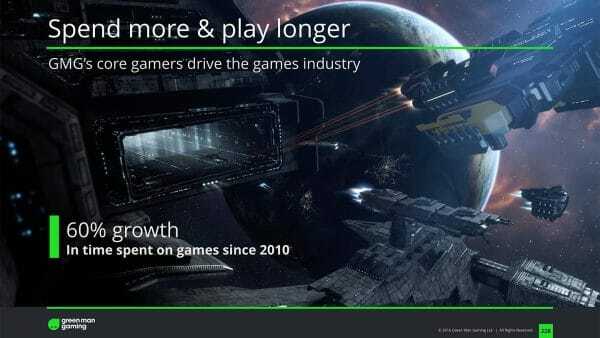 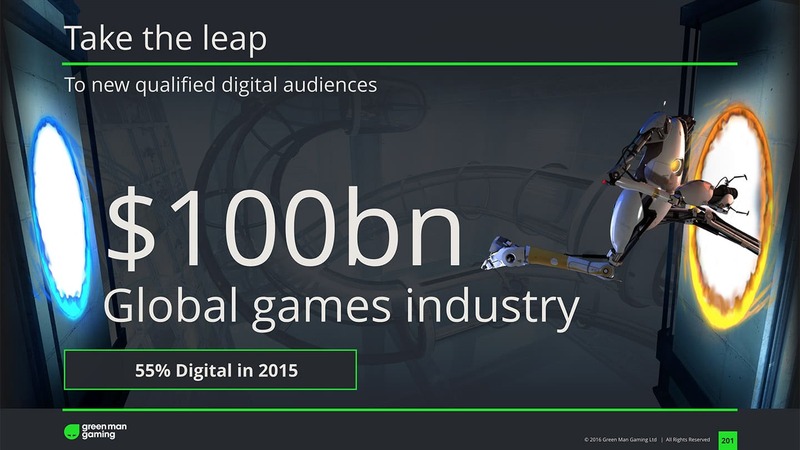 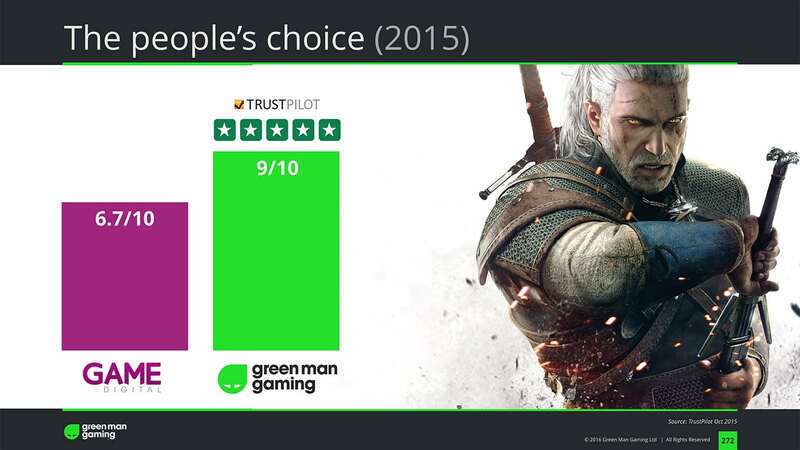 Green Man Gaming are one of the fastest growing UK tech companies, having won many prestigious awards for their services around digital distribution of computer games. 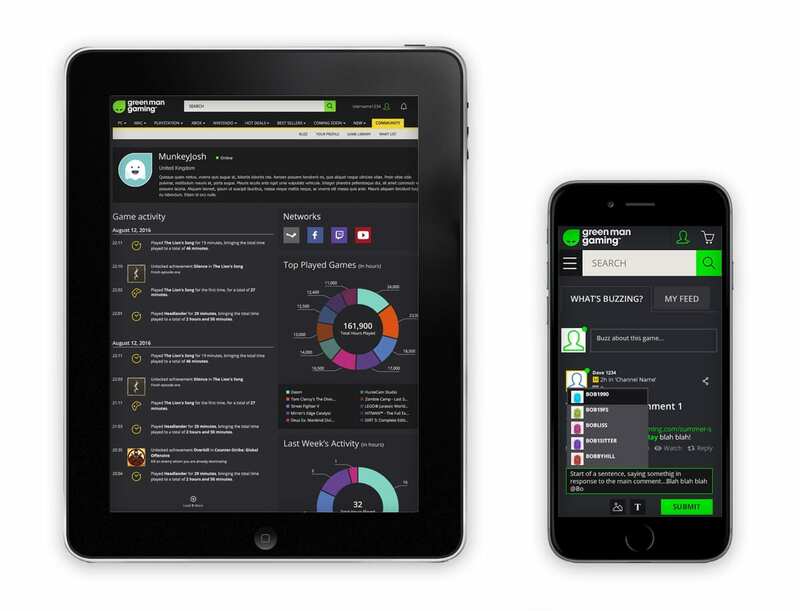 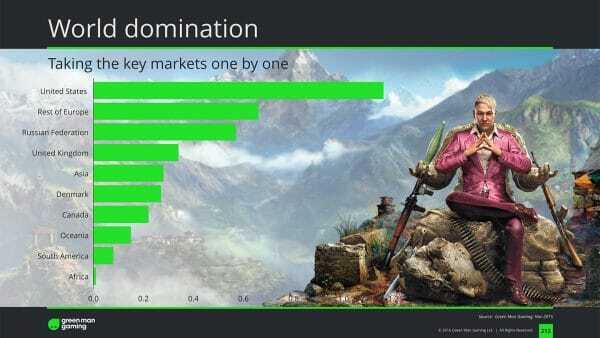 Having recently embarked upon a rethink on their brand positioning and a keen desire to go global, widen the scope of game services offered and to position themselves as the number one gaming distribution company worldwide, naturally the board were keen to be as informed as possible on how to develop a powerful strategy for dominance, and potential future IPO. 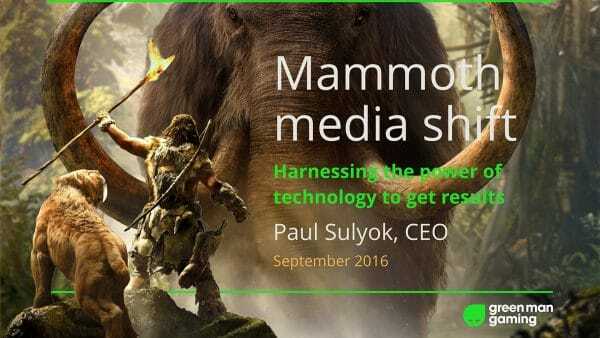 Paul Sulyok, Founder and CEO, had seen presentations developed for another client and desired to up his own game in how he presented the organisation, both personally as well as holistically for the organisation in preparation for an IPO. 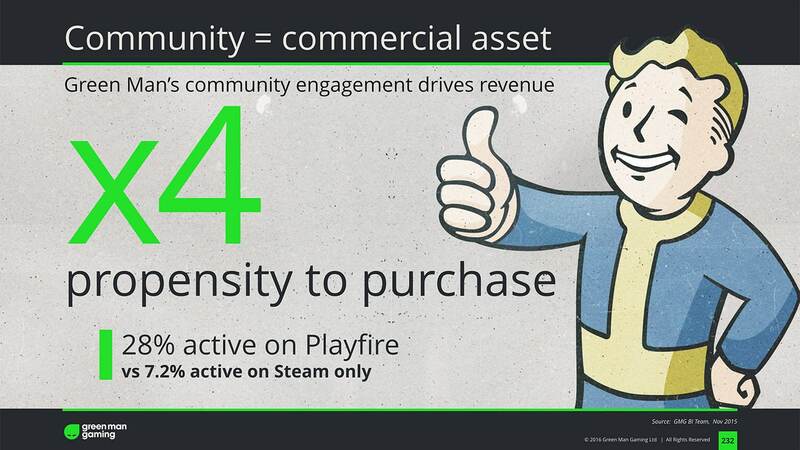 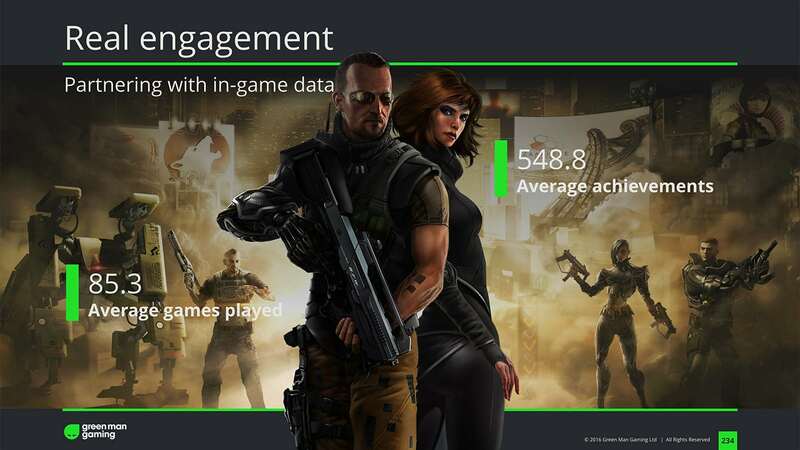 The company has made huge inroads into in-game data giving insights into players activity and are looking at ways of tying this into strategic market positioning under unified messaging, as well as look at better position themselves to OEM’s. 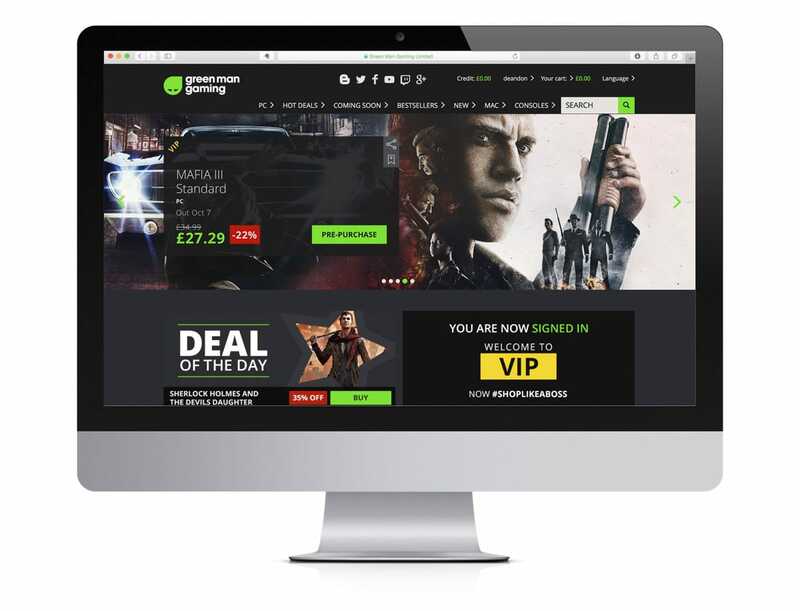 In discussions with the staff and management at Green Man Gaming you are immediately drawn to the passion and intensity not just of gaming but into their desire to offer the very best technical and social solutions for gamers. As gamers are the most astute technically in terms of digital adoption and appreciation, the challenge to connect, inspire and manage expectations with this audience is a huge undertaking for anyone with digital experience. Though many of the company presentations are around financial status and growth opportunities, the reality was that often the content lacked the passion and creativity the company has at its core. 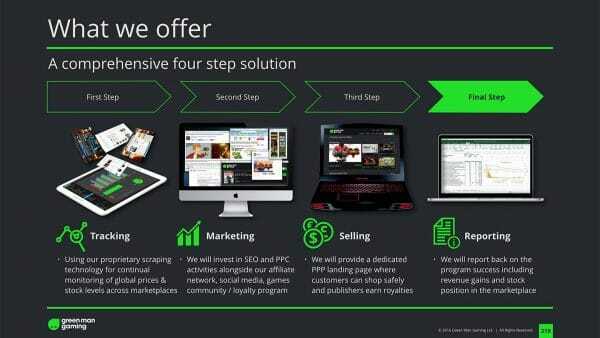 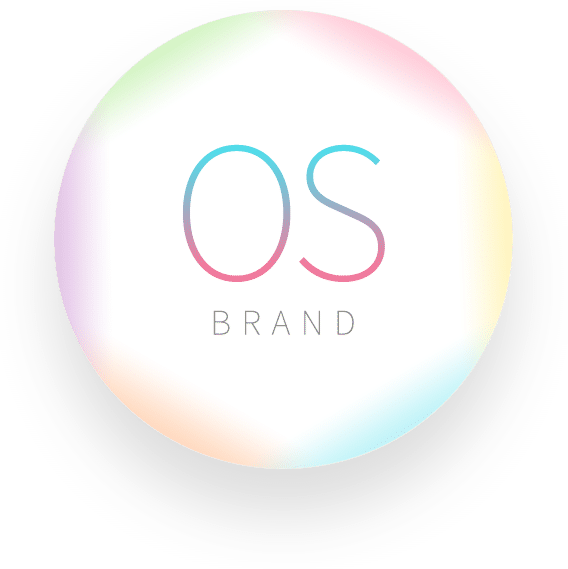 Therefore we needed to embrace a fresh look at messaging and link this to product developments, and connected with an audience of tech-savvy gamers as well as those in the city who maybe unfamiliar with the industry. 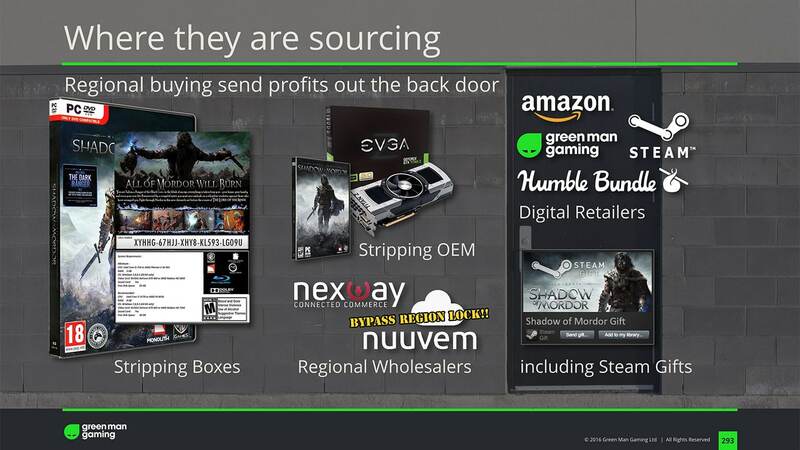 Investigations into underhand methods deployed by the selling of gaming keys, and offering solutions to games producers to protect their revenue streams also would allow stronger relationships with their key suppliers – as well as sideways growth across platforms. 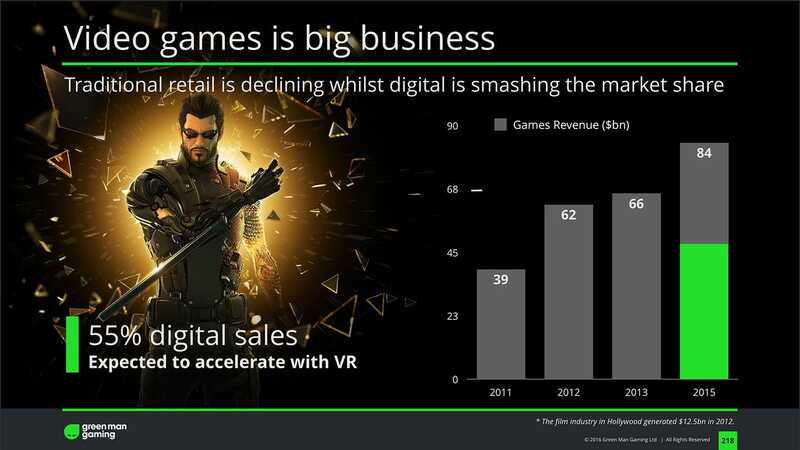 Working with new marketing director, we set about how to embrace messaging that did not assume prior gaming knowledge to showcase the huge potential industry growth, and yet equally connect this to a culture of social sharing and technological developments such as VR and AR set to change the entertainment landscape. 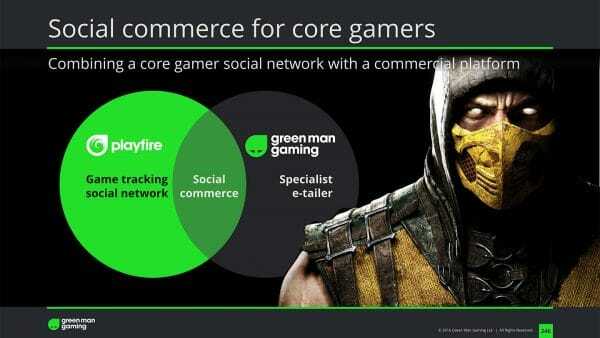 Utilising the plethora of exciting creative assets available, as well as the huge amounts of data flowing around game usage, the solution was to present a story that showcased the passion and excitement of the opportunities not only of the company within the industry, but in terms of moving to a complete rethink on eCommerce and Big Data. 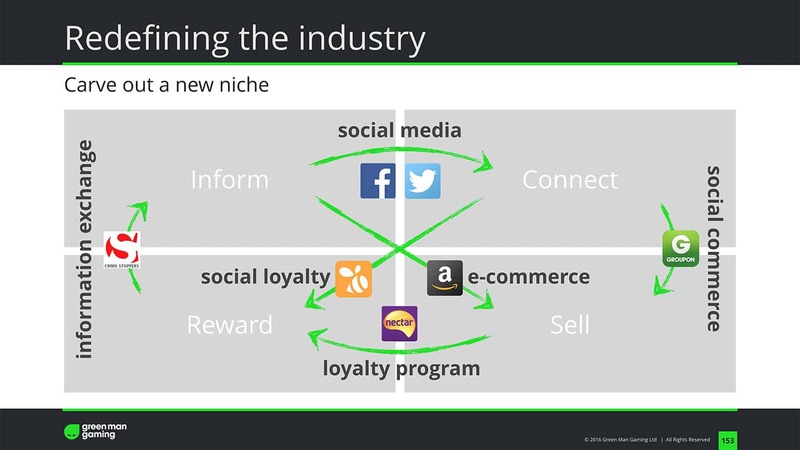 The collation of social information, the desire to connect and be involve, investigate and learn offers new opportunities for rewards. This in turn can be used to drive new commercial opportunities in short-term sales to long term data warehousing. 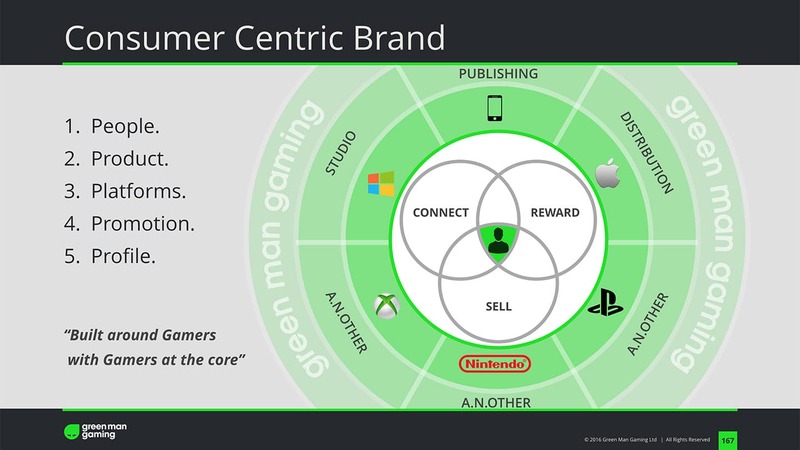 Connecting commerce, social and loyalty would be the basis of a hyper-psychometric personalisation strategy offering new forms of relevance to gamers – and affect the bottom line of the company – under a qualified timeline of development and growth.